This Ohio Star lap quilt is my third one. I did it for my mother more then twenty years ago. It was displayed in her lounge, she enjoyed it a lot and though washed too many times, it had remained in a good condition. 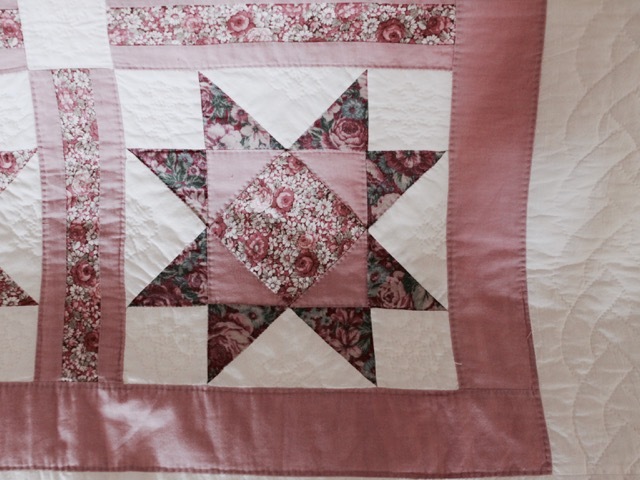 I hand pieced it and hand quilted it. 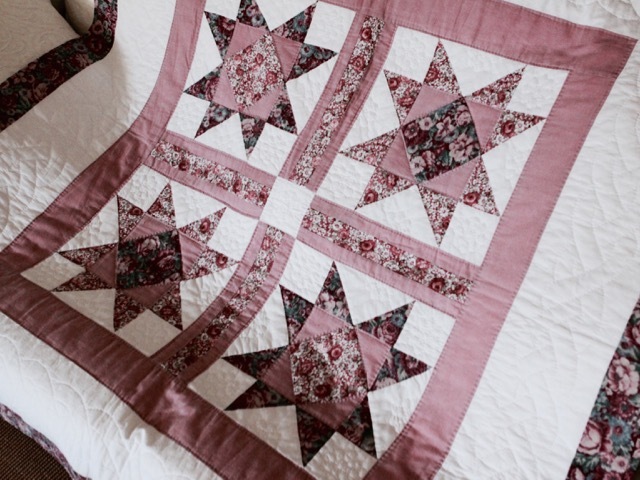 The size is 46" x 46", and each Ohio Star block measures 10.5" x 10.5". I am originally from Ohio so this block has always been a favorite with me. Very nicely done, Christine. I bet your mother loved it very much. Oh WOW! 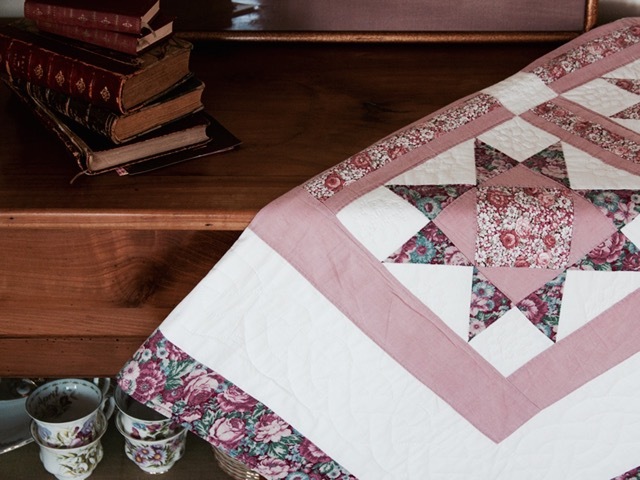 Actually a double WOW is necessary since you hand pieced and hand quilted this beautiful quilt! I have never hand pieced or hand quilted, yesterday was the first time I even hand stitched a binding on a small project. I found it really relaxing and enjoyable so I may have to take the next step and hand piece. Thank you for sharing and inspiring. Have a wonderful creative day! 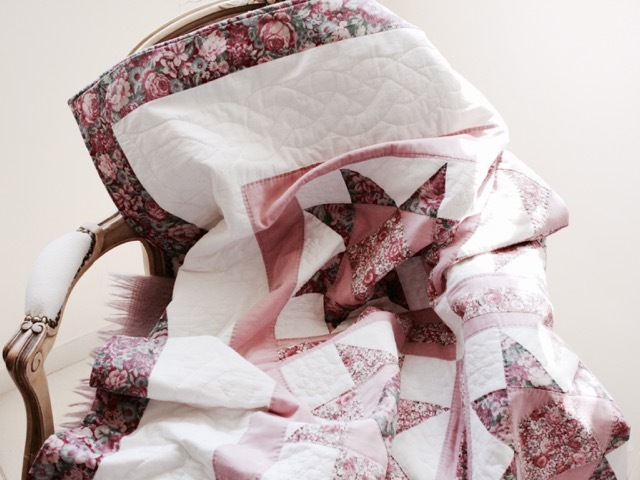 hyper beau bravo pour le quilting! Very pretty. 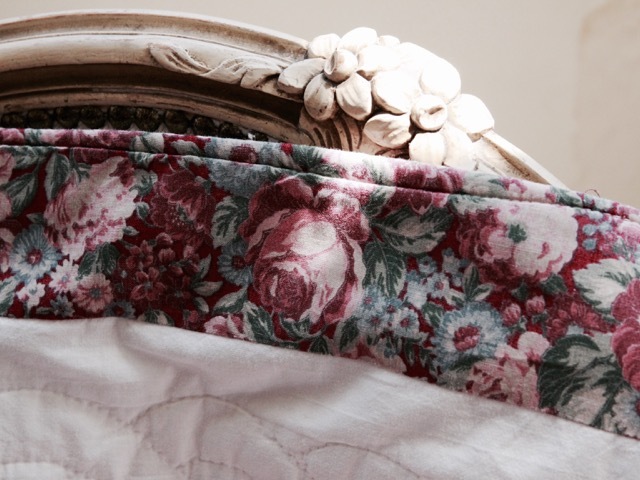 Love the border fabric. It's beautiful. Your hand quilting is exquisite. Lots of love went into this one, and your mother obviously understood that. Gorgeous! Beautiful fabrics and colour. 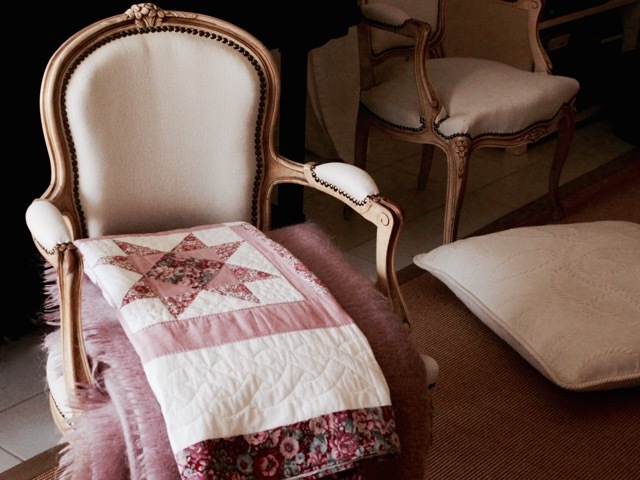 That's a beautiful quilt - and with such history! 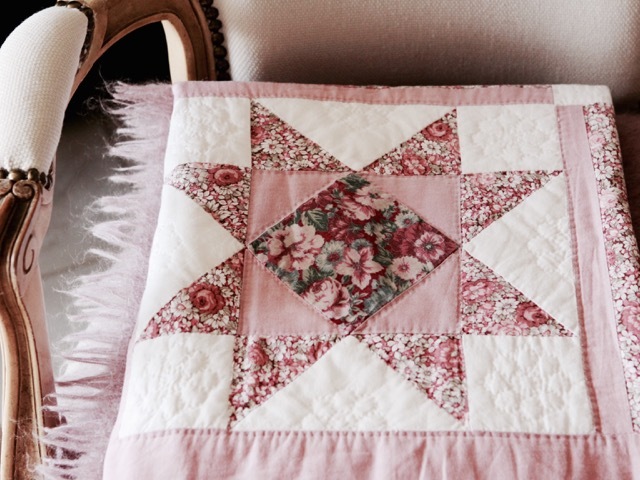 Very pretty, soft colors and beautiful hand quilting Christine! I just love your choice of fabric, Christine. Another beautiful quilt. It is so pretty to look at, soft and serene; thank you for sharing this gift of love with us all. 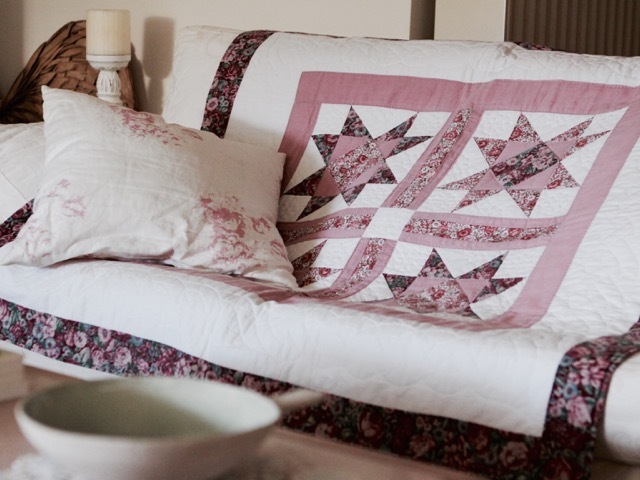 Oh what a beautiful classic quilt! There's a reason patterns like the Ohio star have hung around for so long isn't there and what a pretty example you made. 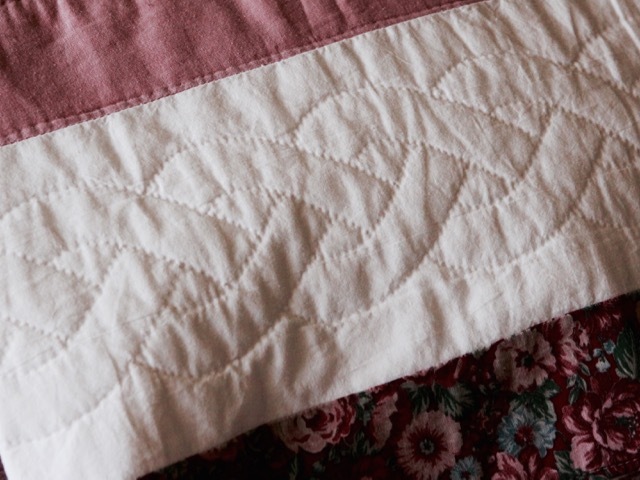 Yes, there was a time when I had the patience to do the whole thing by hand too, my first ever quilt, full double size one. I don't think I could do it again! 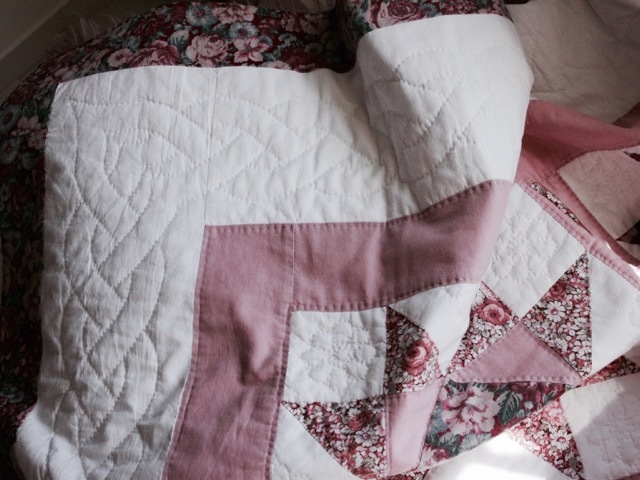 I bought an unfinished quilt to with those same fabrics and quilted it for my mom this summer. She loved those colors. Unfortunately she died before she could use it. Now I think of her whenever I look at it. One of my favorite blocks. Beautiful work. 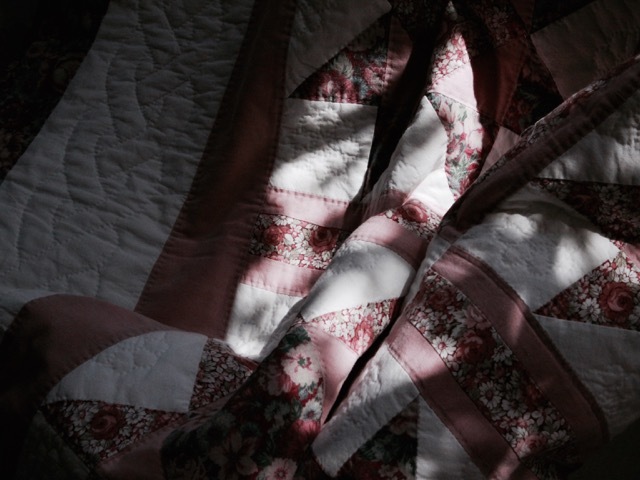 Your quilting is beautiful. Thanks for sharing this classic. 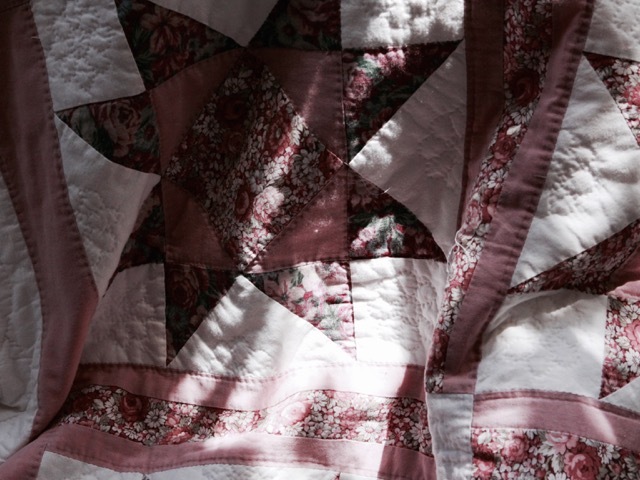 I love the patina that comes with age and use in a quilt. This is lovely--and just right in the beautiful setting in your photos. Oh wow!! I want it! So beautiful. 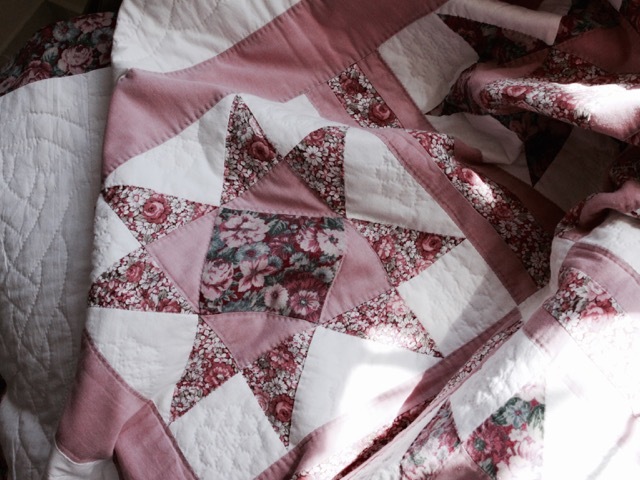 An amazing quilt, adorable quilting, labour consuming work! Super wow! You matched your binding print to the border print, I can't imagine, what a labor of love! It's beautiful!